Plasan’s blast protection solutions for armored vehicles are designed to protect against landmine blasts and IED (Improvised Explosive Devices) including EFP (Explosively Formed Penetrator) threats , which continue to be the weapon of choice for insurgents and the primary threat in asymmetric war zones. 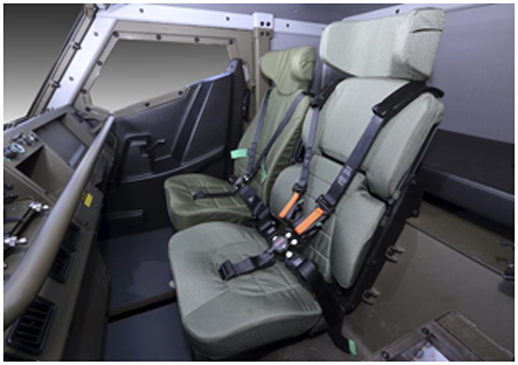 Plasan’s solutions protect not only the vehicle and teams manning it, but also provide optimized survivability for crewmembers by forming several layers of protection. Manages blast magnitude forces by taking into account the specific reactions of the vehicle’s structure to forces and accelerations resulting from a blast, therefore attenuating blast energy and channeling it away from the vehicle’s crew. The kit can be easily retrofitted to a wide range of vehicle platforms, and is made of lightweight composite materials. 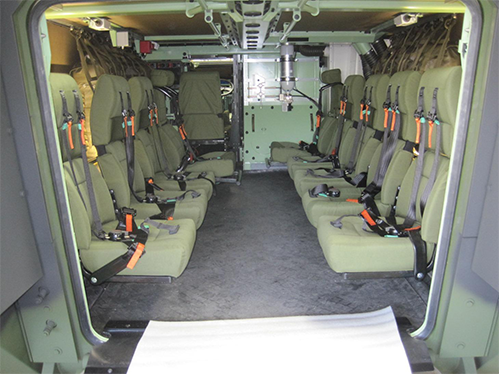 Which is attached to the vehicle’s walls and minimizes damage and injury, isolates the crew’s feet from the vehicle’s floor, forming a buffer from blast impact.